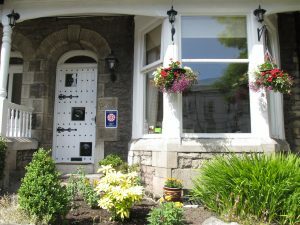 Hillside Bed Breakfast Kendal, is a traditional small family run Bed Breakfast. Set in an elevated position within Kendal’s conservation area. Just a couple of minutes walk (200 Metres) up hill from the old Historic Market town centre. All our car parking is free on street residential permit parking. We will lend you a FREE visitor permit for the duration of your stay. We have 1 car parking permit per room the permits do not cover commercial vehicles. 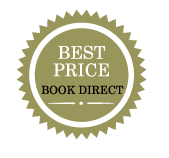 Awarded a Visit Britain 4 Star Rating and a Hall of Fame entry on Trip advisor. Hillside Bed and Breakfast offers six traditional en-suite cosy guest bedrooms, where a warm welcome awaits you. You will find Hillside an ideal place for exploring the ‘auld grey town’ and both of the beautiful Lake District and Dales National Parks. Also a great base for business stay. A bustling market town, there is much to do and enjoy in Kendal including the town trail, riverside walk and great shopping in the town’s historic “yards” all just a short walk down hill. Kendal also hosts a wide variety of events and festivals throughout the year, including the Westmorland County Show, Comic art festival and the Mountain Film festival to name just a few. Please browse our Guest info and Links page or our About Kendal page for some useful local attraction, activities and information guides as well as ideas on a selection of local restaurants. If you wish you can download our brochure (which includes driving directions and a parking map) as well as a town map of Kendal by following the link at the bottom of this page or under the photo at the top. Free electric car charging is also available by PRIOR ARRANGEMENT only.